Join the AABA, VN Teamwork and the HVL at this year's wills clinic. The clinic will be held this year on Saturday, June 16th from 9:00 am to 1:00 pm at the VN Teamwork office at 11210 Bellaire Blvd #118, Houston, TX 77072. Pro bono attorneys will execute their client’s documents at VN Teamwork. 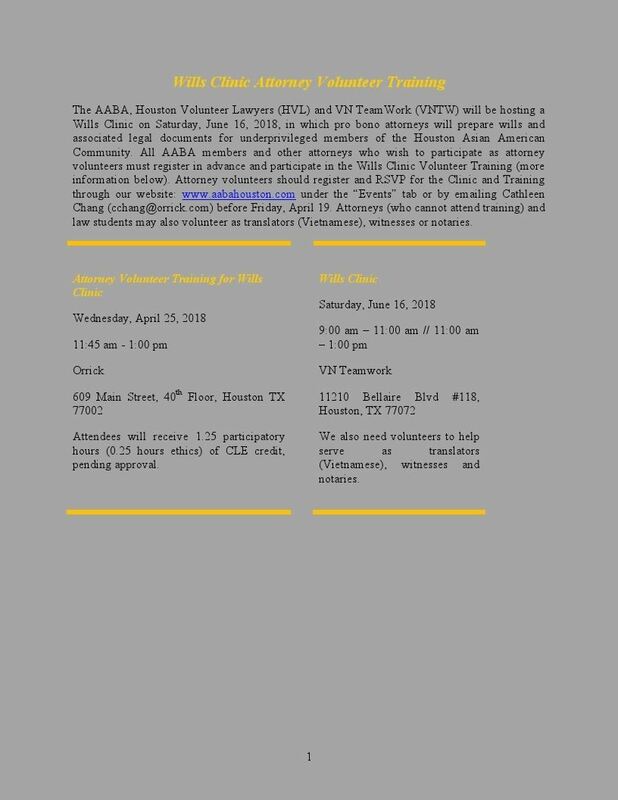 Please note: all attorneys who wish to participate as attorney volunteers must register in advance and participate in the Wills Clinic Training on April 25.